Delta Heritage Air Park hosted its annual Fly-In on July 2. 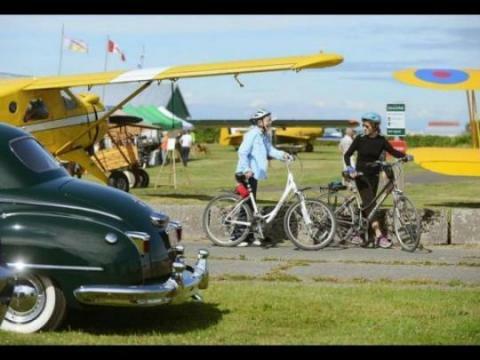 Fans of recreational airplanes and classic cars got both at the Delta Heritage Air Park‘s annual Fly-In on July 2. The air park is the home of Recreational Aircraft Association Chapter 85, COPA Flight 5 Boundary Bay Flying Club and the Aerobatics Club of B.C.